From LikeABike try-out sessions for tots to talks from industry experts, the Keswick Mountain Festival is more bikey than ever. A ‘Bike Village’ will be open during the festival, which runs 21st-23rd May, offering demos and skills courses for visitors. Bike suppliers exhibiting include Merida, Cotic, Nicolai, Pace Cycles, and Kona. Young children can have a go on LikeABike wooden learner bikes. 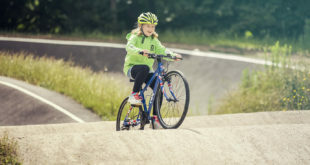 Local company Cyclewise will be offering tips and advice on bike skills in the Bike Village and Keswick Bikes will be taking visitors on guided rides. The Lakeland Classic rides include Borrowdale Bash and Skiddaw Loop. 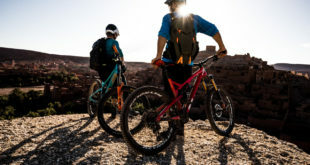 On the evening of Thursday 20th May there’s Bike Night, with a line-up of speakers, including MTB endurance rider Paul Errington and writer/photographer Steve Razzetti. 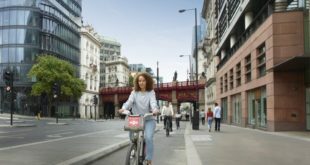 There will also be a Q&A session with Ian Weatherill from Hope Technology, Adrian Carter from Pace Cycles and Michael Bonney from Orange Bikes. Three films will also be shown at Bike Night: Take A Seat, the tale of Dominic Gill’s mission to cycle 32,000km from the northern coast of Alaska to the southern tip of South America on a tandem (he picked up random strangers as he travelled); Look to the Ground, the story of Bobby McMullen who is legally blind, working against the odds to become a top mountain bike rider; and One Hell of a Day, which follows Cumbrian resident, Peter Lofthouse, on his latest adventure, unicycling down Helvellyn.